I found out that Fidel Castro died via email from a friend in Canada even though I was in Havana, in bed nursing a cold and the only television that I had in my garish apartment was the size of a box of cereal and I rarely turned it on. It was not a surprise considering the man was 90 years old but he had loomed so large and invincible for so long that it felt like a let down in some ways. The immortal attributes that were so lavished on El Commandante for so damn long had become a joke that in turn became ingrained as a real part of the STORY that was Cuba. I wasn’t sure what to do so I walked to the window and listened. In Cuba you can guage most situations from the sounds on the streets; the students parades shouting slogans, the fights below my terrace that never seemed to go anywhere except to disturb my nights, the honking of horns from pink and gold Classic convertibles breezing down the Malecon carrying VIP’s . That night there was a silence that has continued turning the entire city into one long Sunday. It’s all about timing isn’t it? You meet the love of your life because you are in the same movie line as he or she is, or the flight you have to cancel due to a winter storm crashes into the North Sea. Fidel Castros passing came as a soft exhalation rather than a guttural cry, because he was no longer in power. Ten years of his brother as President and the legend stayed strong but the presence grew wane. Time is a sly player and events rarely play out in reality as they do in anticipated imagination. I always wanted to be here in my second home when this moment came. 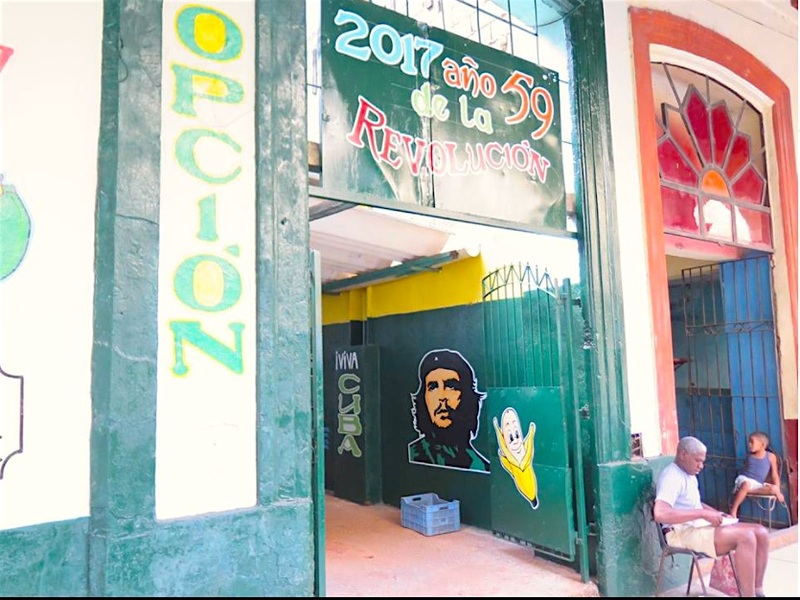 I thought the streets would throng with shouting and tears and fights and a show of government power but yesterday as I walked the streets from Vedado to Old Havana I encountered an unsettling pall, a silence all the more startling because the State issued a nine day ban on any and all music. This includes all bars, cabarets, restaurants and homes. Never before have I been so aware of how prevalent the sounds of drums, voices crooning and guitars wove into the every day fabric of life in this city. The blaring of taxis radios, the trios shaking their maracas in the doorways of small pubs trying to lure you in with their seductive rhythms and the Afro Cuban ceremonies throbbing drums relaying secret messages even today in Modern Times. Ashe, Ashe, the cry of the Santeria for luck and blessing. It is nowhere to be heard. Everyone is careful. The police are on the streets in Miramar, standing and watching. It is not wise to say too much but perhaps that is ok. Like any passing of an important person in ones world it is contemplation that is the perfect response. Indeed, a 60 year reign, no less than a reign, thumbing his nose at the greatest power on earth and surviving with all the costs that entailed is not a small feat. Illegal CNN tv is showing the parties in the streets of Little Havana, in Miami, where the Cuban immigrants gyrate and munch roast pork to celebrate the death of a man they consider to be a hated dictator. This is utterly distasteful to the Cubans. Even those who had issues and rebelled against the powers that be, carry a certain dignity and love for the higher ground that this country tried to emulate. It is insulting to them that those who did not live here for so long reduced the death of such a complicated man and such a long fight to a fiesta in the streets and a dance. 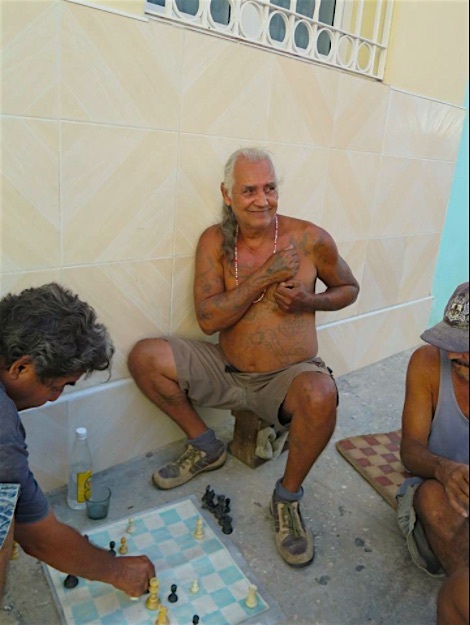 Cuba is anything but simple, despite the reputation of rum, sand and smiling, sensual people. Scratch the surface and one finds an educated population that has learned a thing or two about patience and tiny forms of resistance. Call it survival but who does not learn to survive in whatever fish bowl we find ourselves in, swimming and fighting the currents. Or not. The future is not clear. Nobody I spoke to is making any predictions but what good are predictions in todays world anyway. I would not have dreamt that a boorish, overweight millionaire could succeed to the White House of the Greatest Power on Earth. Never. So we lay to rest a complicated man. El Jefe was cremated last night as he desired. His ashes will be scattered along the entire Island and he will be memorialized in Santiago de Cuba. Scattered to the wind, quietly landing on the soil where so much happened in his name and under his shadow. 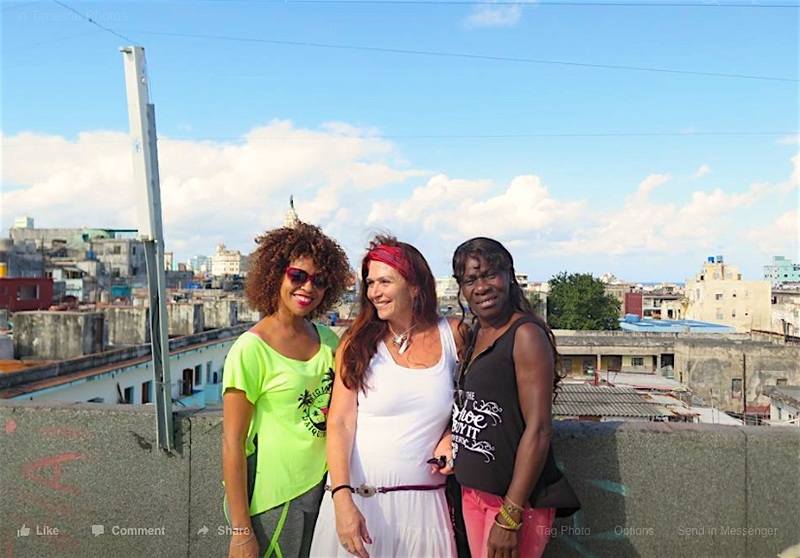 And the streets of Havana will throb to the sounds of salsa, Trova and drums again. 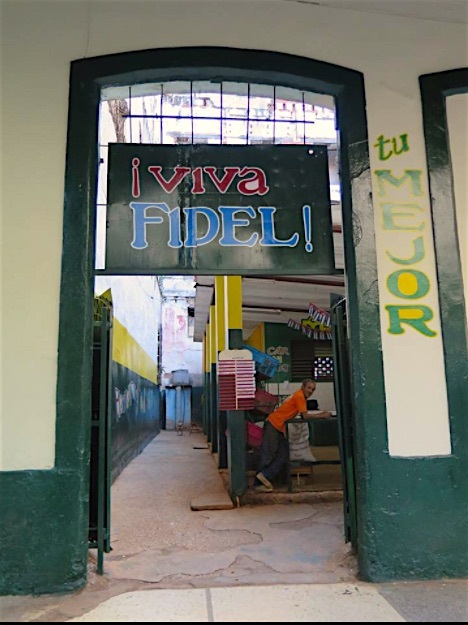 Cuban friends consider…After Castro, now what? The Image of Che Guevarra , soon to be joined by Fidel?